RME 2010: USB & FireWire Audio Interface - The Fireface UFX is the new flagship of RME's audio interfaces. 60 channels of audio! Digitally controlled high-end preamps, reference class converters and full 192 kHz operation. Ultra-low latency operation with USB and FireWire, combined with the legendary RME driver stability and maintenance. Including active jitter suppression, professional reference level support, advanced stand-alone functionality, RME's unique DIGICheck metering and analysis toolbox, and - of course - nearly identical operation and features on Windows PC and Mac. RME 2010: USB & FireWire Audio Interface - The Fireface UFX is the new flagship of RME's audio interfaces. When it comes to sound quality and price to performance ratio RME plays in its own league. The Fireface UFX is no exception. Like any other RME product it combines excellent analog circuit design with high-grade AD/DA converter chips. Therefore all balanced TRS & XLR I/Os and both phones outputs guarantee outstanding low noise and distortion values. In best RME tradition and product philosophy converters and preamps don't produce "sound", they do not add or remove anything from the source signal, just capture it as it is. The four UFX preamps are feeding not only four, but eight AD converters. Every microphone channel uses a double, parallel AD conversion on two AD converters at the same time to reach exceptional signal-to-noise values and a performance not available with a classic converter design. The big rotary encoder on the front of the UFX maintains precisely controls the three dedicated stereo monitor outputs Main Out, Phones 1 and Phones 2. Start turning the volume encoder and the display shows the current gain value in big numbers. The small encoder buttons provide direct access to pan and reverb for the selected output. Pushing the volume knob switches between the outputs. The above gain (volume) settings at the unit work hand in hand with the Control Room section of TotalMix FX. Any physical output can be assigned to the three, directly knob-controlled monitor outputs. E.g. just assign the AES/EBU output as Main Out, or as Phones Out - any output can be used. The functions Talkback, Listenback, Mono and Dim will work automatically for the assigned outputs in the expected way. Convenience at its best. 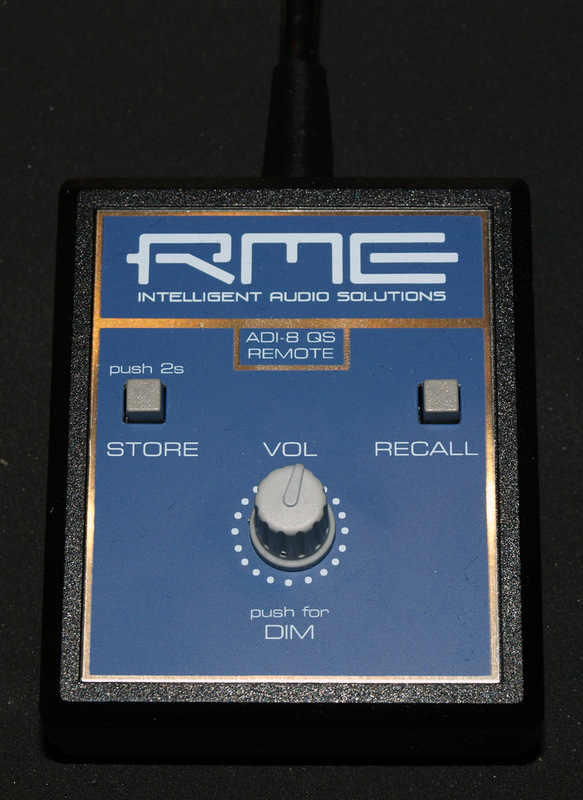 The UFX has a connector for the optional RME hardware remote, with controls for Volume, DIM, level storage and Recall. The Fireface UFX has been uncompromisingly optimized for highest performance under Windows and Mac OS. It uses a special customized firmware for every operating system. Like other RME USB 2.0* interfaces, the UFX provides revolutionary ultra-low latencies even with multiple channels. The completely redesigned FireWire core provides the UFX with the same exceptional compatibility and performance as RME's USB solution. For the first time the UFX does not have any FireWire chip inside at all - it's completely programmed into the FPGA, under direct control of the RME masterminds, and updated by a simple firmware update - if ever necessary. This new technology is even compatible to Agere's infamous rev. 6 chip - that says it all.